FINE GAEL FACES losing one of its most high-profile ministers as the Dáil votes again on the Protection of Life during Pregnancy Bill today. European Affairs Minister Lucinda Creighton is likely but not yet certain to vote against the legislation when a vote on various amendments to the bill are called today and tonight. One Fine Gael source said yesterday it was their belief that she would vote against the legislation but that they could not be certain. However, the source added that four other wavering TDs are now less likely to vote against the bill. Creighton has sought several amendments to the bill – including representation for the unborn and the removal of the suicide clause – which will be considered during today’s debate but are likely to be dismissed by the Minister for Health James Reilly. Speaking on RTÉ Radio yesterday, Creighton said she would “find it very difficult” to support the legislation as it stands but would not be definitive on whether or not she will support the bill. If Creighton joins the four Fine Gael TDs who voted against the legislation at second stage last week, Creighton will immediately lose her junior ministerial post and will automatically resign from the parliamentary party. She will also face losing her office in the Fine Gael wing of Leinster House, will be relegated to the backbenches of the Dáil chamber and will likely not be chosen to run for the party at the next general election. Several other Fine Gael TDs have been wavering on the legislation including James Bannon, John-Paul Phelan, Michelle Mulherin, and John O’Mahoney. Phelan said that he had nothing more to add to what he has already said about the bill. Bannon, Mulherin and O’Mahoney did not return calls. 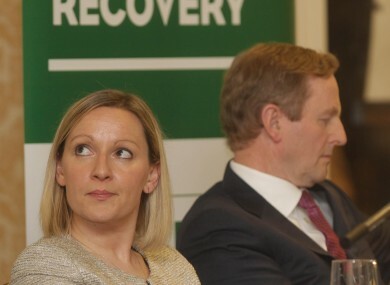 However the Fine Gael source indicated that it is increasingly likely these four will support the legislation. Meanwhile, Fianna Fáil’s decision to allow a free vote is set to see over a dozen TDs vote against the bill in its final form as they did at second stage last week with party leader Micheál Martin’s support for the legislation eclipsed by 13 of the party’s 19 TDs voting against the bill. Others set to oppose the legislation in votes today are Sinn Féin’s Peadar Tóibín and six independent deputies Michael Healy-Rae, Noel Grealish, Mattie McGrath, Michael Lowry, Colm Keaveney, and Denis Naughten. The Dáil will hold debate and votes on the legislation throughout the day. The first debate is likely to get under way after the Order of Business at around 11.20am and last up until 1.30pm. The debate will resume at 4.30pm up until 7.30pm before the final debate on the bill will be held between 9 and 10pm when a final vote will be called. Email “D-day for Creighton as Dáil to vote on abortion legislation ”. Feedback on “D-day for Creighton as Dáil to vote on abortion legislation ”.